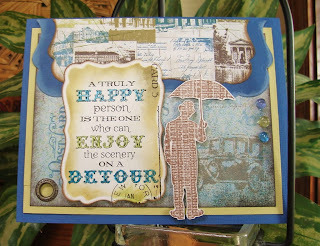 Vada's Blog Stamp Inks and Paper : A Truly Happy Person. Bright Blue, Olive Green and Brown were the colors in this small piece of designer paper. So Umbrella Man came to mind! He’s kind of a World Traveler today. My stamps are from Stampers Anonymous and TAC. Thanks again for coming. Truly fabulous!! Love the sentiment! 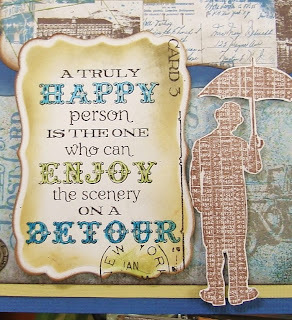 Wonderful sentiment - have not seen before and LOVE it - plus your card is gorgeous in its own right. Oh.what a great sentiment! 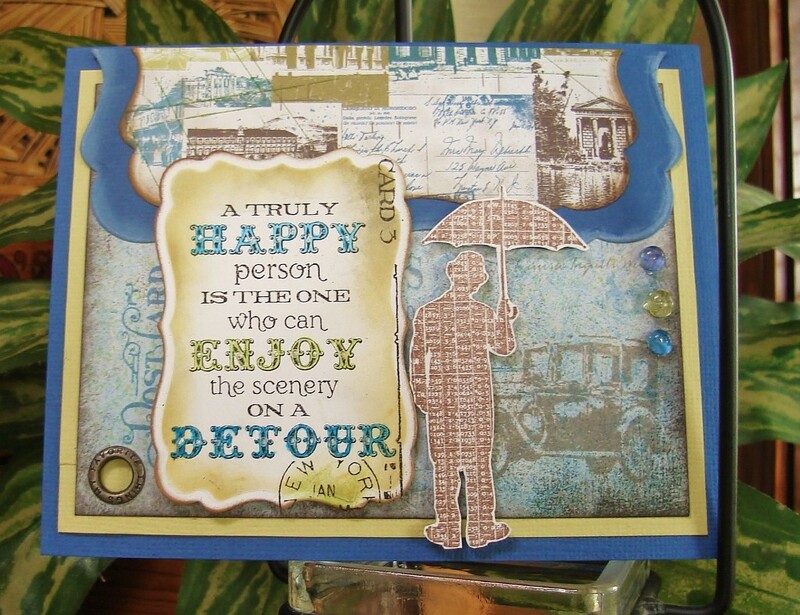 I love how you've put it together with Umbrella Man..and your colors are wonderfully happy!